I moved one of my kids out last weekend!!! She still comes here for meals and to do laundry. About the only true change is not having the car in the driveway overnight. I am looking forward to the range report! Very nice to have happened! You're a step ahead of me. Yes it is, however, I have no clue why we would want to mount a red dot to a subcompact pistol...but the option is there! That is awesome she comes to do your laundry and cook for you! You KNOW it’s never going to be that way. 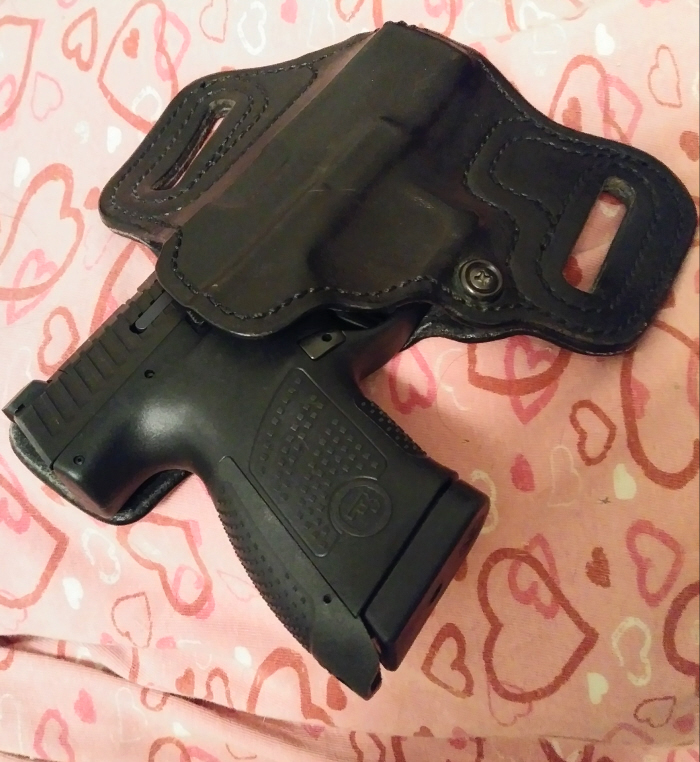 I had this holster laying about...High Noon Slide Guard for a Glock 19. A little wet molding and the P-10S snaps in like it was made for it.